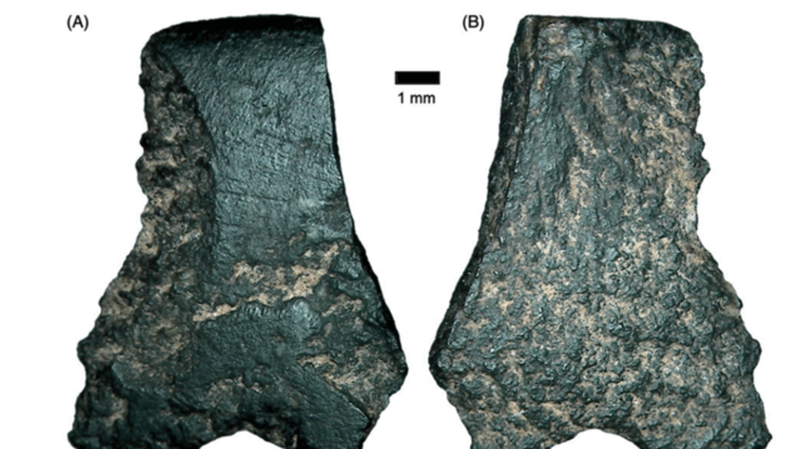 During a dig in Western Australia in the 1990s, archaeologists uncovered a tiny fragment of basalt stone. It didn't look like much at first glance, but now, more than two decades after its discovery, the fragment has been identified as a piece of the oldest known hafted axe, or axe with a handle, BBC reports. In a new paper published in Australian Archaeology [PDF], researchers from Australian National University date the rock chip between 44,000 and 49,000 years old. For reference, the handled axe artifact we previously believed to be the oldest ever discovered dates back a measly 10,000 years. Because the only evidence archaeologists have of the axe is a single flake of smoothed rock, there are still some doubts surrounding its origins. If similar artifacts are discovered in the region they could possibly help experts better understand when exactly they were used and what they were used for.